-Messenger photo by Hans Madsen Lavonne Anderson reacts Thursday afternoon as the fourth grade students sing her “Happy Birthday” in the cafeteria at Cooper Elementary School. 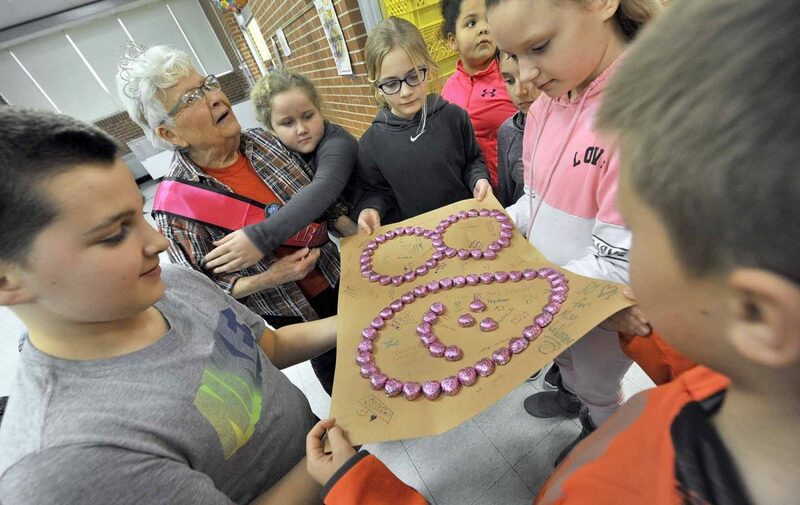 The staff and students at the school helped her celebrate her 80th birthday. -Messenger photo by Hans Madsen Lavonne Anderson accepts a flower from Cooper Elementary School kindergarten student Aspen Michehl, 5, as her fellow students Kinsley Huse, 5, at left, and KaReena Barrett, 5, look on. 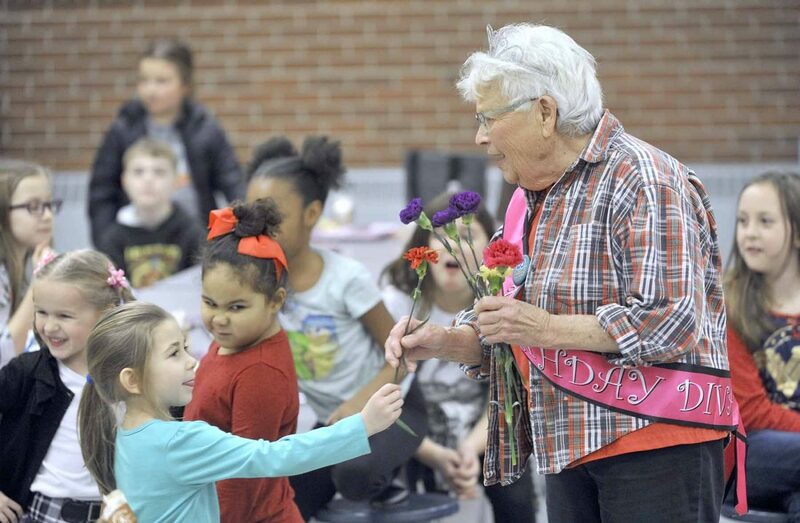 Anderson celebrated her 80th birthday with the staff and students Thursday. 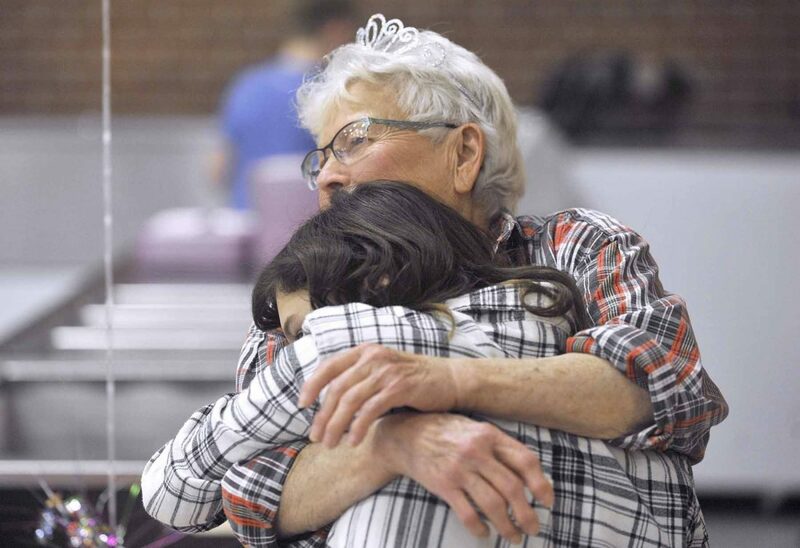 -Messenger photo by Hans Madsen Food service worker Lavonne Anderson gets a hug from Cooper Elementary School fourth-grader Izzy Jorgensen, 9, Thursday afternoon to help celebrate her 80th birthday. -Messenger photo by Hans Madsen Food service worker Lavonne Anderson gets a hug from Nicole Nutt, 9, as a group of her fellow Cooper Elementary School fourth-graders present her with a chocolate covered heart card they made for her 80th birthday. 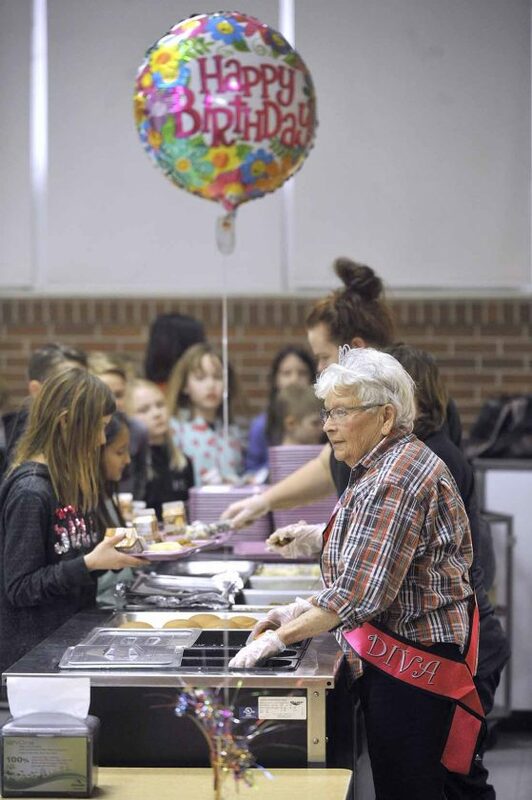 -Messenger photo by Hans Madsen Food service worker Lavonne Anderson, who celebrated her 80th birthday Thursday, helps serve lunch at Cooper Elementary. Part of Lavonne Anderson’s job as a food service worker at Cooper Elementary School is writing the day’s dishes on the menu board by the kitchen. On Thursday, someone put her on the menu. Not to have for lunch, but rather to celebrate at lunch. “Happy Birthday Lavonne,” it read in the place where the breakfast cereal would usually be written. 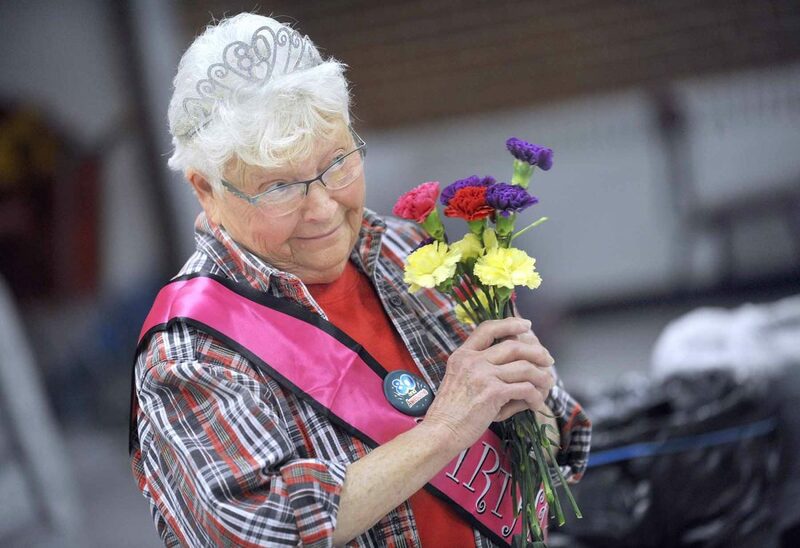 The staff provided her with a tiara and sash to celebrate the day. One other 80th birthday accessory didn’t quite work out. Throughout the day, students brought her more gifts. She was pretty surprised at all of it, actually. Anderson has spent several decades working in the school district. Part of her day’s chores is taking the trays from the students when they’re done eating. On Thursday, as they came up, most of them wished her a happy birthday. 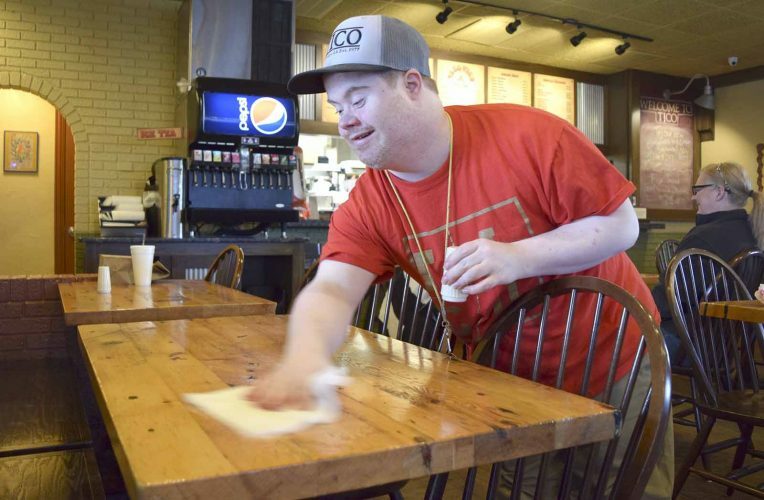 Many of them did the same when they picked up their trays and some came up and asked for a hug. Cooper Principal Bruce Hartley watched the students with a big smile on his face. Hartley may not stay in the workforce as long as Anderson has. “I kind of doubt that,” he said. 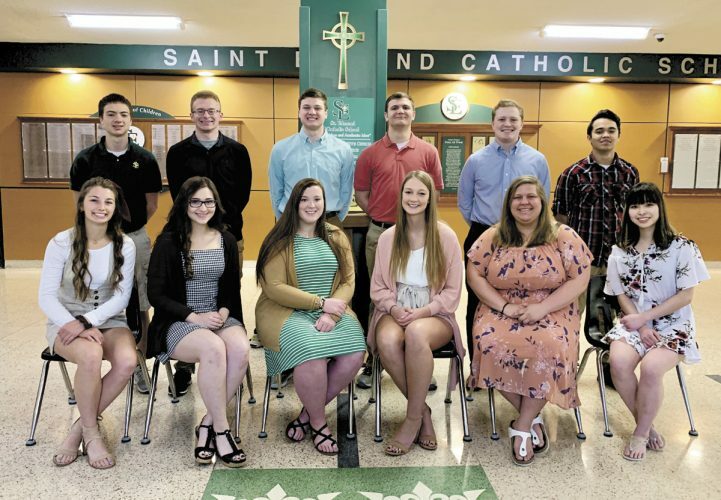 Anderson enjoys being around the students. Many of the students did not realize Anderson was 80. One guessed her at 46. Another student really liked her fashion accessories. “Thank you, dear,” Anderson replied. The last shift of students to eat lunch at Cooper are the fourth-graders. They had just a little bit of trouble figuring out what year Anderson was born. Their guesses went from 1938 — one year off — to 1947, a bit more off. They also learned some facts from the year of Anderson’s birth. For example, the average home cost about $3,800 and the average salary was $1,730. Bread was 8 cents a loaf. 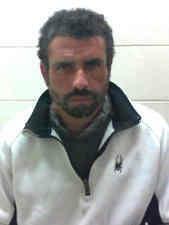 “That sounds about right,” Anderson said. On Thursday, there was also music during the lunch shifts. Hartley helped Anderson find some songs from her youth on his phone to play on the sound system. “How about Jailhouse Rock?” he asked her. 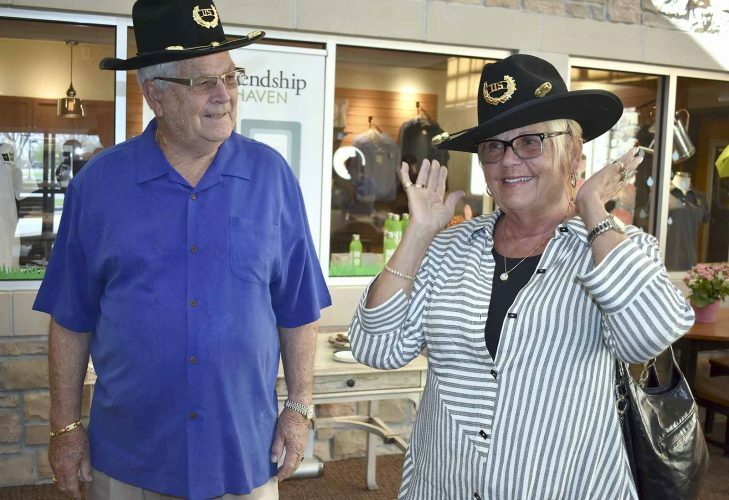 At the end of her day, with plenty of new memories of turning 80, there is now a new memory she had ever expected: working on her 80th birthday.